Fox Searchlight Pictures Presidents Nancy Utley and Stephen Gilula announced today that the company has acquired U.S. rights as well as select international territories to the blackly comedic drama CALVARY. Written and directed by John Michael McDonagh, CALVARY’s ensemble cast includes Brendan Gleeson, Chris O’Dowd, Kelly Reilly, Aidan Gillen, Dylan Moran, Isaach De Bankolé, M. Emmet Walsh, Marie-Josée Croze, Domhnall Gleeson, David Wilmot, Pat Shortt, Gary Lydon, Killian Scott, Orla O’Rourke, Owen Sharpe and David McSavage. The film was produced by Reprisal Films’ Chris Clark and Flora Fernandez Marengo and Octagon’s James Flynn, and is an Irish Film Board and BFI presentation in association with Lypsync Productions. The film is scheduled to be released in 2014. 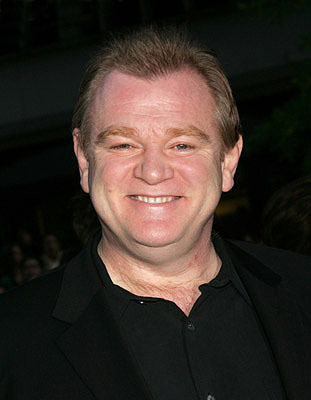 “Brendan Gleeson gives a tour de force performance in a film that John Michael McDonagh has written and directed with perfection, taking us into a world with distinctive characters where the stakes are high,” said Gilula and Utley. “We made a great film. In Fox Searchlight, we now have a great company behind us to send that film out into the world. Thank you, Sundance. Thank you, bourbon! Onward,” said McDonagh. “We were impressed by the passion and commitment of Fox Searchlight towards Calvary, and look forward to the next chapter for the film,” said Clark. “We’ve found the perfect home for the film and are thrilled to be working with Steve and Nancy and their wonderful team at Fox Searchlight,” said Fernandez Marengo. Fox Searchlight Pictures Presidents Stephen Gilula and Nancy Utley announced today that the company has acquired worldwide rights to the existential drama I ORIGINS. Directed and written by Mike Cahill, I ORIGINS is his second feature following ANOTHER EARTH which Fox Searchlight acquired at Sundance in 2011. The film stars Michael Pitt, Brit Marling, Astrid Bergès-Frisbey, Steven Yeun and Archie Panjabi with Cahill, Hunter Gray and Alex Orlovsky serving as producers. The film is scheduled to be released in 2014. “I am so excited to once again be home at Fox Searchlight, a place that I believe embraces creative passion and the future of cinematic storytelling,” said Cahill. “I ORIGINS is a very special film for us at Verisimilitude. We know that Fox Searchlight is the perfect home for Mike’s innovative and utterly original work,” said Gray and Orlovsky. Written and directed by Mike Cahill, and starring Michael Pitt, Brit Marling, and Astrid Bergès-Frisbey, I ORIGINS follows a molecular biologist whose study of the human eye points to evidence with far reaching implications about our scientific and spiritual beliefs.